Track my Electricity™ is proud to announce that its project partner, Practical Action, was honored with perhaps one of the most prestigious prizes a sustainable energy company could hope for, the Zayed Future Energy Prize. On January 16, Practical Action, a project partner for Track my Electricity™, was selected as the 2017 winner in the Non-Government Organization (NGO) category for its invaluable contributions to reducing energy poverty and promoting sustainability across the world. Practical Action, has been helping people in developing regions for over 50 years and has gained vast knowledge and experience in the process. Last year alone they helped 1.7 million people escape poverty through their 90 projects in 45 countries worldwide. These projects focus on areas such as energy, clean water, agriculture, and disaster risk reduction in order to reduce poverty in developing regions. 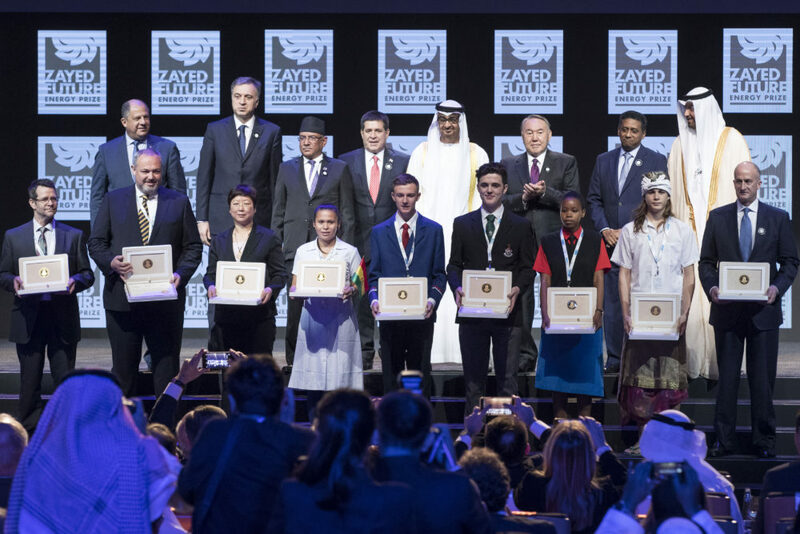 Practical Action’s contributions to providing sustainable and practical solutions across the planet gained the attention of the Zayed Future Energy Prize committee, which considers the impact, innovation, leadership, and long-term vision of organizations. During an award ceremony Monday, it was announced that Practical Action had received the highest honor for the NGO category, and in recognition of their efforts, awarded a prize of $1.5 million. Following the announcement of Practical Action’s award, Track my Electricity was elated to hear that it was part of the effort that garnered such prestigious recognition. Through the generous contributions of Track my Electricity clients and the expertise of Practical Action, projects like providing electricity to impoverished alpaca wool farmers in Peru are made possible by this partnership. Track my Electricity guarantees that a project chosen by the client will be funded by a portion of proceeds generated from the client’s renewable energy needs.